A beautifully designed boot, good to combine with denim pants. 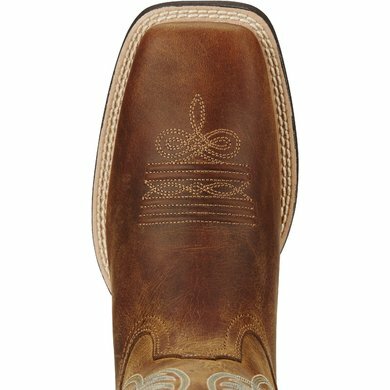 With the four row stitch pattern, the Round Up Wide features a mesh lining to keep your feet cool, even in warm conditions. 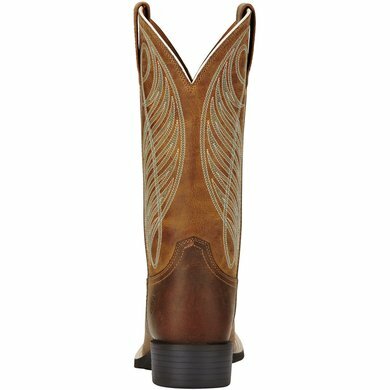 In addition, the Round Up Wide includes a full grain upper and upper, a durable yet flexible Duratread sole and exclusive 4LR ™ technology for comfort and support. 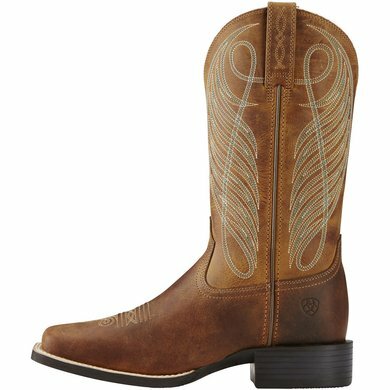 4LR Technology: Outstanding daily support and comfort: Ariat's® entry-level technology, Four Layer Rebound (4LR ™), softens and stabilizes the foot for comfort and performance all day long! 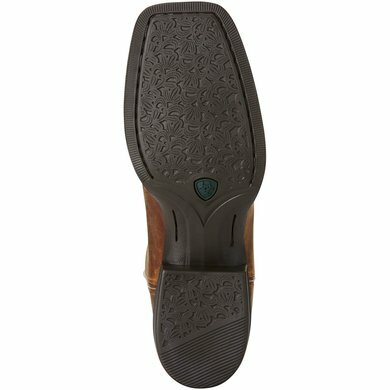 -Flat footbed offers superior comfort. -Lightweight shaft stabilizes to provide support. Beautiful sturdy boot, with little fuss. The leather is thick and sturdy. Still a bit stiff but after running out, I expect this to fall smoothly. I am very happy! I find beautiful color. Normally 39.5 now 38.5. Thanks to the square toe a lot of space in the front. The boots are after almost a year wearing still super nice and super nice! color is slightly different in real life, but certainly super nice, I do not want another brand. Perfect boot, good support. Is a size bigger. So take a size smaller. 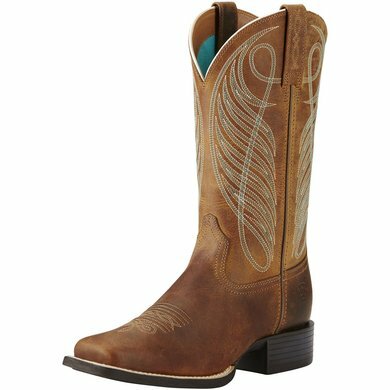 Ariat is known to be a half to a whole size larger. Delicious and beautiful boots with super footbed. Well size bigger taken because of high instep. 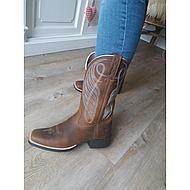 Question: Are these boots suitable for riding horses and walking around in the stables? Answer: These boots are specially designed for riding. Walking in the stables is not a problem with these boots. Remember that urine from the barn and leather in general is not a good combination.